Roughly chopped fresh tomato and green coriander slowly braised with strong flavour of ginger and asafoetida – home made soup. BakedTerracotta tandoor is used in the remote village of Punjab for baking breads and roasting meats, we at Mayur offer you this traditional way of cooking on live wood charcoal to produce a real taste of kebab and freshly baked breads. Kerala style succulent Irish Lamb’s chunk marinated with brandy, Stir fried with Shallots and bell peppers Served with curry sauce. A slow braised lamb chunks cooked with ground black pepper, toasted, coconut and tamarind. Tandoori roasted sliced of duck breast cooked in a madras hot spicy tangy sauce, tempered with black mustard seeds and curry leaves finished with a dash of coconut milk. Black tiger prawns, crab claws and mussels simmered in a smooth coconut and chilli Masala paste staple food of the Goans! 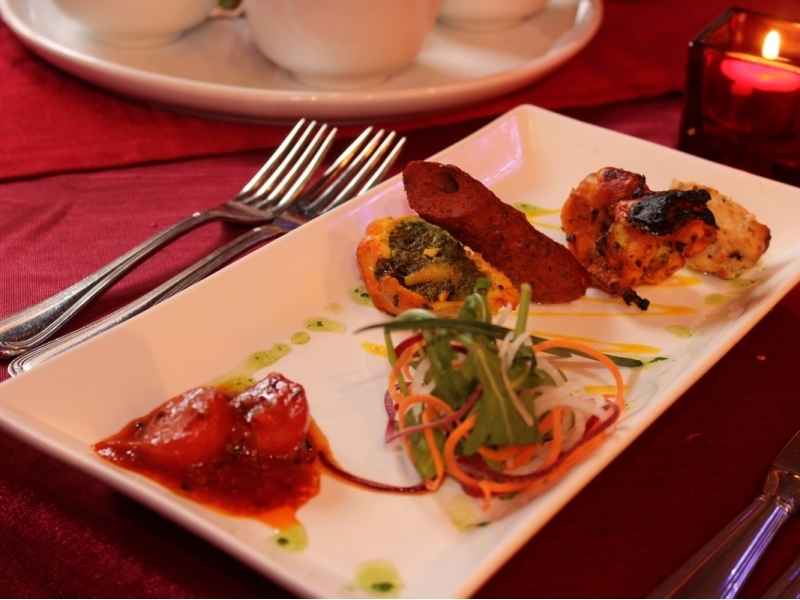 At Mayur, we understand that some dishes never fall out of flavour and palatable fashion. Should you not find any of your choice dishes on this listing, our chef will be more than happy to accommodate your need and requests. These dishes can be ordered with your own choice of meats. Should you want them to cook to your individual spice levels of preferences, please inform the floor staff. spring onion, slit green chili, ginger and finished with fresh coriander leaves. onions and basmati rice, finished with yoghurt, brown onion and fresh mint.